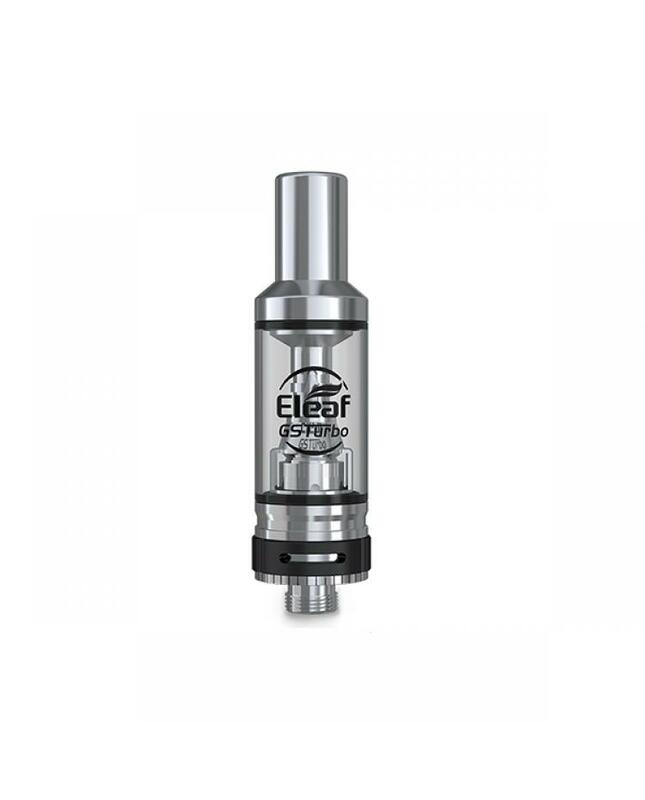 GS turbo atomizer by the eleaf company, made of high-quality stainless steel and pyrex glass, can hold 1.8ml e juice, parts of the new eleaf atomizer can be detached and reassembled, convenient to clean. the GS turbo with sophisticated airflow system,5 holes and the wide slot for airflow, vapers can adjust the airflow to your preference easily, only twisting the airflow control ring to get the optimal airflow. the new eleaf tank comes with 0.75ohm and 1.5ohm GS air coil heads, can fire p to 25watts, will produce the purest flavor.